Our Teeth Whitening Kit With Charcoal Gel gives you the best of both worlds. 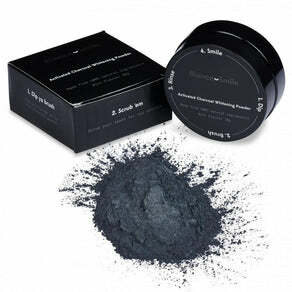 After listening to all of the wonderful feedback from our customers, we have been working hard behind the scenes on a unique formula to combine the best of our premium and top selling products; activated charcoal powder and teeth whitening gel to get charcoal whitening gel. Built into the original whitening kit, you will still recieve your own thermoforming trays (trays that mould to your teeth), and three syringes of the new charcoal whitening gel. I saw an improvement on my first use. Definitely so easy to use and I can do something else while whitening my teeth.